Many thanks to all who visited Take Stock at Museum Jorn as part of the exhibition LER! CLAY! . 4,000 blocks have now found their way into the hands of homes of visitors to the exhibition and below is a video containing extracts of their interactions with disappearing work, played in reverse. 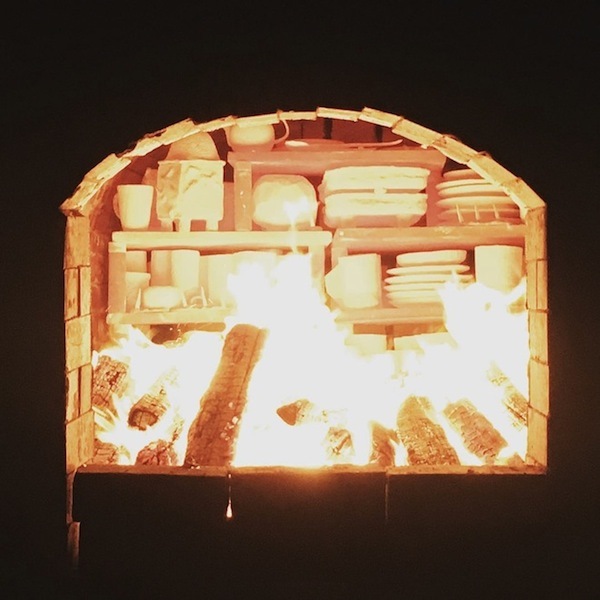 The Anagama Kiln Is Back! Well despite various challenges with wood supplies, some unexpected shortages of glaze materials and faulty pyrometers the Anagama kiln at Wysing came back into life last week as part of the Making Everyday project. It was a slightly unconventional operation but reached temperature well and the glazes looks great. Many thanks to all who took part in the project and if you made work for the kiln it is now ready for collection from the gallery. And special thanks to Sebastian Blackie who turned up just in time!